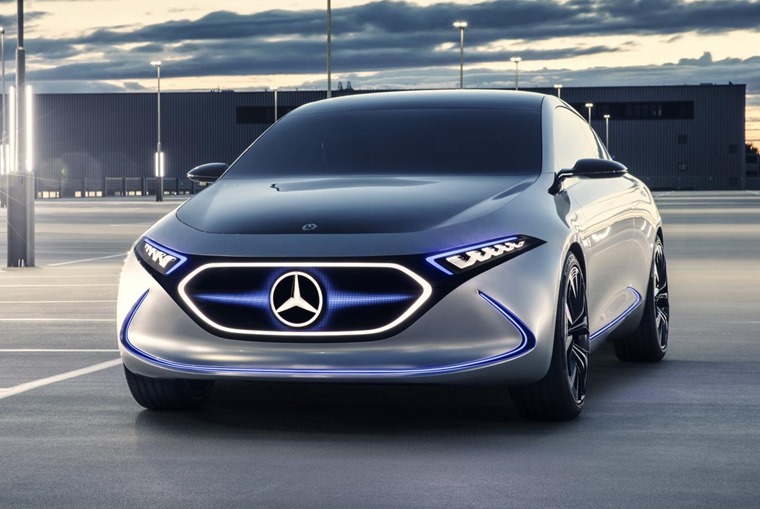 Out of all the Mercedes models present at this year’s Frankfurt Motor Show, the EQA concept is quite possibly the most significant. That’s because this car gives us further hints at what Mercedes’ all-electric sub-brand of the future will look like. Taking the form of a compact three-door hatchback, the EQA is around the same size as the current A-Class and gives us a better insight into the sort of hatchback we can expect to make it into production in the coming years. 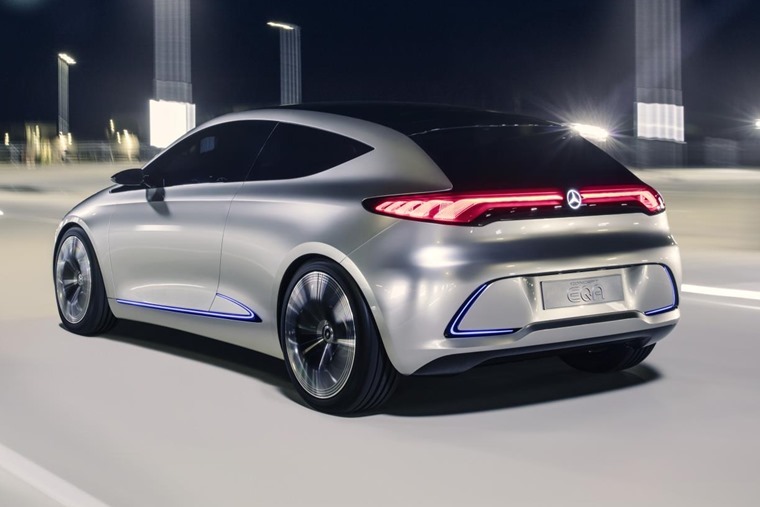 A five-door EQ (called the EQC and based on the concept see last year in Paris) is due in showrooms by 2019 with the EQA set to follow its lead by 2022. Mercedes’ EQs are its equivalent to Volkswagen’s Crozz concepts, which are also on show in Frankfurt this week. 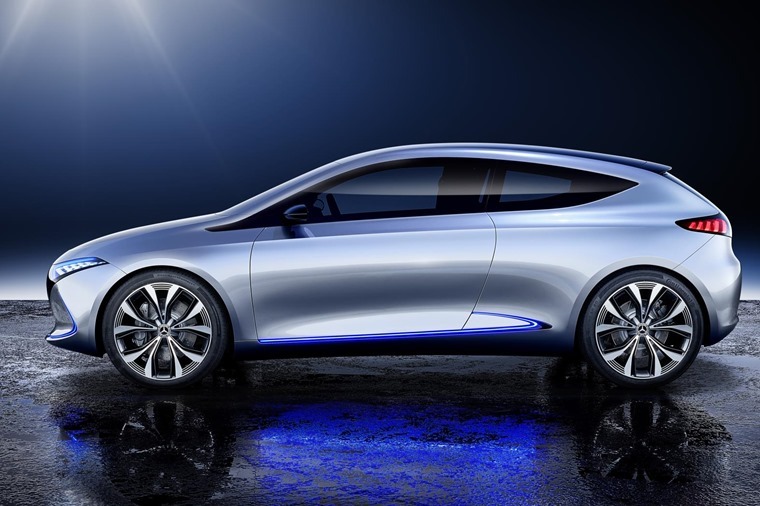 The EQA marks a further evolution of Mercedes’ Sensual Purity design strategy. There are barely any sharp edges or lines in the car’s design at all, and the car utilises new electric light tech, including fibre-optic cables that change the colour of the grille depending on the chosen driving mode. We haven’t been treated to any interior shots yet, although it’s likely to look just as futuristic as the outside does, and could perhaps feature a new version of Mercedes’ COMAND infotainment and drive info system. 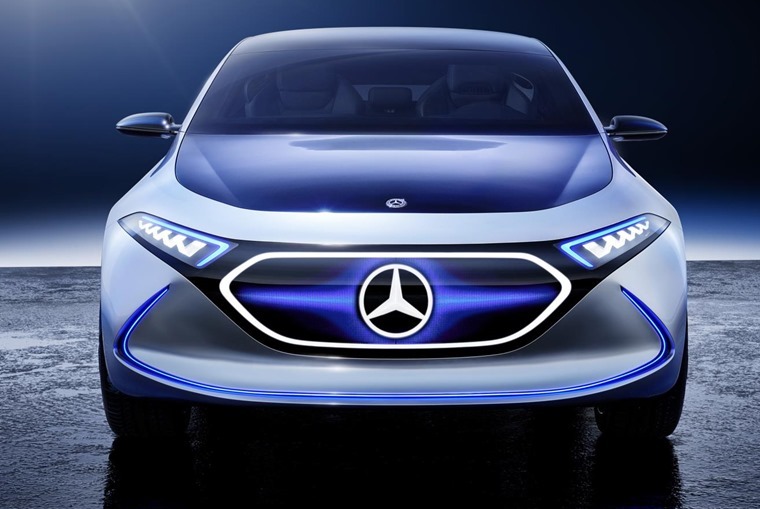 Dr Zetsche, head of Mercedes-Benz Cars, said: "With the Mercedes-Benz Concept EQA, our electric initiative is gathering pace: by 2022 Mercedes-Benz Cars will have more than ten all-electric vehicles on the market." The 200kW electric drivetrain will offer a range of up to 400km (248 miles), although there’ll likely be a range of battery capacities available when it actually makes it into production. Drivers will be able to choose between two driving modes – Sport and Sport Plus. With one electric motor at the front and one at the back, the driving characteristics will be altered by these two modes, varying the front to rear torque distribution. Performance-wise, it’s claimed the most potent variants will have over 260bhp and 500Nm of torque, allowing for an impressive 0-62mph time around the five second mark.